Today I have decided to ditch WhatsApp – the messaging app I used to use in favor of Wire and Signal Private Messengers and I request you to do the same. Let’s all switch from WhatsApp Messenger to either Signal Private Messenger or Wire Private Messenger. The main reasons why I’m quitting WhatsApp Messenger is that they monitor their users activity, sell our data and they are not secure. Though they have implemented end-to-end encryption a few months back, I’m still skeptic of using their services. Since they are owned by Facebook, I’m even more afraid of using WhatsApp any longer. Facebook spies on you and sells your data to advertisers for money by displaying targeted ads on your timeline and many other places. Have a look at The Disconcerting Details: How Facebook Teams Up With Data Brokers to Show You Targeted Ads by EFF to get a better understanding on how Facebook actually mints money off your data. Even worse, Facebook spies on you even when you are logged out! Quite sometime back WhatsApp rolled out an update which stated that they will be sharing the user data with Facebook and its group of companies to improve Facebook advertising and product experiences. What they mean by this is, they will be snooping over your messages to find what you are talking about and then they will use this data to display targeted ads to you when you are logged into Facebook or when you visit any site which has partnered up with Facebook ads. Literally, they will be shoving targeted ads down your throat and making money off your time spent on Facebook. Open WhatsApp on your phone. On Android, tap the action overflow button in the upper right corner and select Settings. On iOS, tap the Settings tab in the lower right corner. Tap the check mark to the right of Share my account info. To disable the feature, tap Don’t Share. 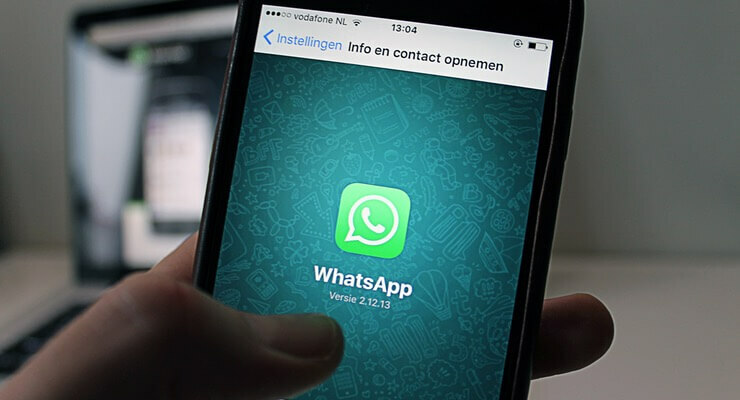 Though end-to-end encryption is now actively implemented on WhatsApp, they can still track your activities. What I mean by track is, though they will not be able to read or decrypt what you have sent or received, they can still know whom you have interacted with and for how long. For example, WhatsApp can see that you chatted with your friend for an hour, with your boyfriend or girlfriend all night, called your dad or mom and spoke for a few minutes blah blah blah, etc but they won’t know what you spoke about. They collect this meta data and use it for various purposes. Since they collect everyone’s meta data, they can connect the dots and make something worth their business out of it. If you still think meta data ain’t much of a concern for you, read why metadata matters by Kurt Opsahl. The android version of WhatsApp offers users the facility to backup their chats and media to Google Drive but it is debated that these backups are not encrypted while getting backed up to the Cloud. Therefore, it is an easy way to access user’s message history. Moreover, WhatsApp is a closed-source proprietary app, which means all the meta data and your chat messages are owned by them – they own your messages, not you! Thus these three reasons contributed to the main factor in me quitting WhatsApp. Watch Glenn Greenwald’s TED talk on why privacy matters. Read Quincy Larson’s article about how to encrypt your life in less than an hour. Read Fábio Esteves’s post to understand why you should care. And here’s more on why encryption is a human right by Electronic Frontier Foundation’s Amul Kalia. Does your website take more than 3 seconds to load? Migrate your website to SiteGround now and experience lightning-fast WordPress performance with SSD storage, Cloudflare integration, multiple levels of caching, and HTTP/2 enabled servers. That’s true. But still, privacy is our right. At no cost should we give it up. This article has got me worried. My family over shares on whatsapp and while I don’t whatsapp as much, still need to share with them coz they wont use any other app. To be on the safer side, request them to shift to secure alternatives like Wire or Signal Private Messengers. Currently these two messengers are very secure and respect your privacy. Lol we are very much the same. I don’t have Facebook, I quit it ages ago. And I rarely use WhatsApp. But my family really love to use and overshare on both apps. I have known about Facebook and WhatsApp privacy issue for quite some time now, so its a bit of a dilemma whenever I had to use it. A few of them even responded carelessly saying we are being tracked anyway whenever we use internet or that I was too paranoid. Though I have to add here, many people are not aware that Facebook actually received seed funding from In-Q-Tel when it was still a startup company. And In-Q-Tel is a subsidiary of CIA. They all want our data. WhatsApp Messenger monitors their users activity, sell our data and they are not secure? You’re welcome Georgia. Yeah, they’re not as secure as they promise to be. It’s better to switch to safer alternatives available out there which uses the same Signal protocol.